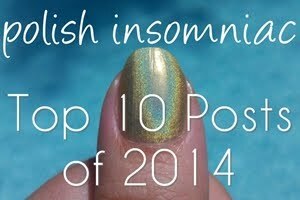 Today is the first day of a new series I will be taking part of... Top 10 Tuesdays! Every few Tuesdays a few beauty bloggers will be sharing their Top 10's with you, all loosely based around the same concept. 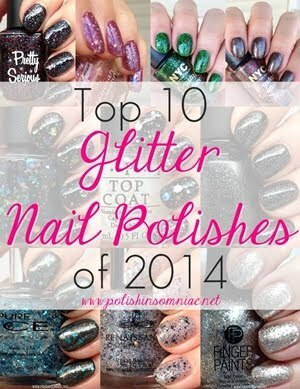 As I am a nail blog, you can expect many of mine to be nail related... but not all! I can't wait to show you my Top 10 Bronzers... I have an entire drawer full of them! Back to the task at hand... This week we chose to focus on our Top 10 Beauty Products for Summer. 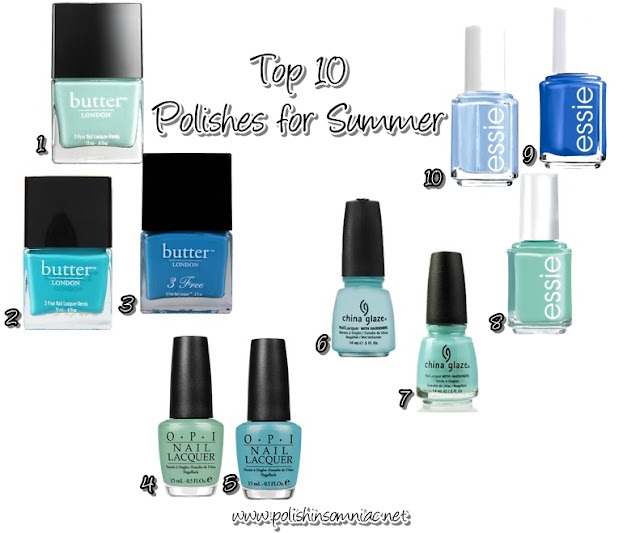 I decided to put my own spin on things and do the Top 10 Polishes I reach for the in the summer. During the heat of the summer months I long for cooling blues and calming light greens. 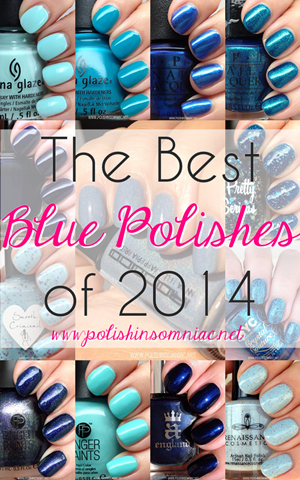 Check out my list below, and leave YOUR list in the comments! 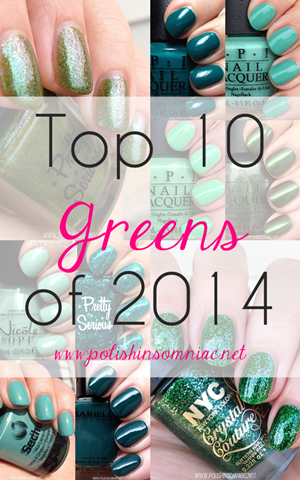 Then don't forget to visit the Top 10 lists of my fellow beauty bloggers!